Kathak, a classical dance form originating from North India is one of the most popular dance forms in Sri Lanka. Dr. Tina Tambe, Artistic Director, Ninad Centre of Performing Arts, from India will be presenting a Kathak recital organised by Indian Cultural Centre, High Commission of India, Colombo on 28 May at 6 p.m. at ICC, auditorium at Indian Cultural Centre, 16/2 Gregory’s Road, Colombo 7. Dr. Tina Tambe, one of the most accomplished kathak dancers from India, holds Nritya Alankarin Kathak from Akhil Bhartiya Gandharva Mahavidyalaya Mandal, Mumbai and Masters degree from Devi Ahilya University. She has also been conferred with Ph.D in dance. Tina started her initial training in kathak under Smt. Ranjana Thakur, who has helped her acquire a strong base in dance. Later she continued learning under Dr. Suchitra Harmalkar, and Pt. Ramlalji of Raigadh Gharana. 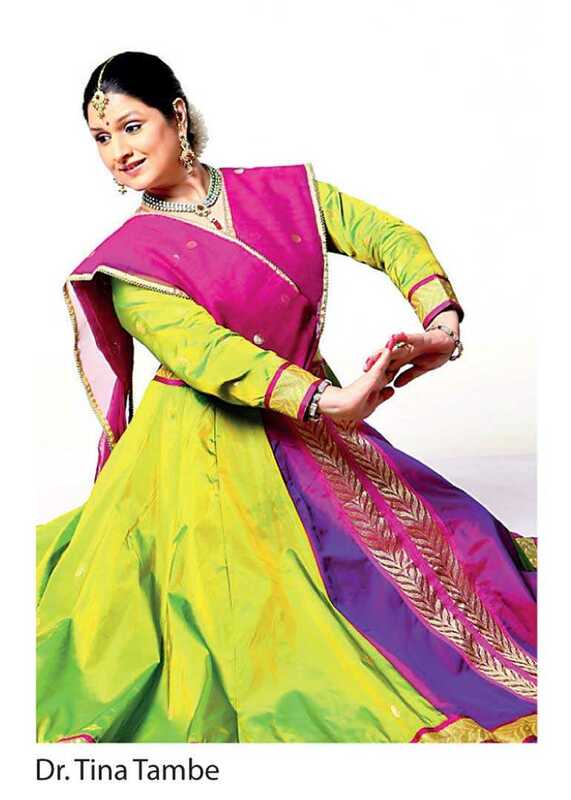 She took advanced training in kathak under the able guidance of eminent Guru Uma Dogra, who herself is a leading Kathak exponent of the Jaipur Gharana. Dr. Tina Tambe is the first recipient of Pt. Kartikram Kalanidhi Puraskar, 2016 by Kartik Kala Academy, Indore, also conferred with Nalanda Nritya Nipun Award, Mumbai, 2009 and Shringarmani in 2003. She is the Artistic Director of Ninad Center for Performing Arts, in Mumbai where she teaches kathak and trains the newer generation of dancers. Tina Tambe is a registered teacher and examiner with Akhil Bhartiya Gandharva Mahavidyalay Mandal, Mumbai.